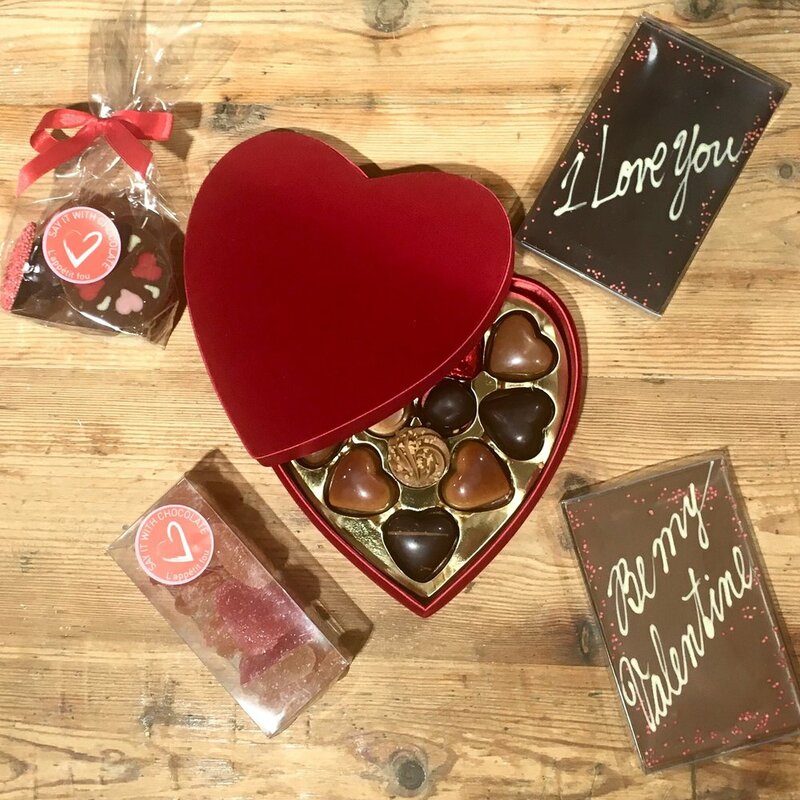 We have 7 delicious flavours of chocolate hearts available that are sure to be a hit with your loved ones when combined with our luxurious red velvet box. 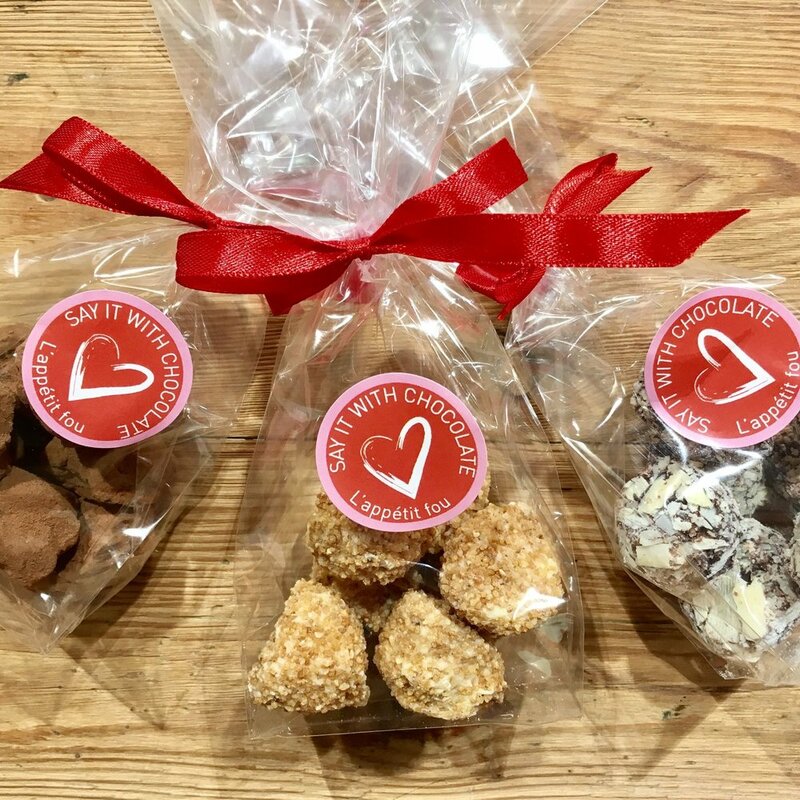 If you're looking for something a little different then our Valentine's bars and mixed assorted bags look as pretty as ever. Another festive season is upon us and L'appetit fou is fully prepared to provide you with delicous handmade chocolates. What do you think about a personalised luxury box for the dedicated chocoholic. Or if you're looking for something more in theme of the season we have a full range of gorgeous figurines and precious assorted bags to fill those stockings and treat the little ones. We spent the most wonderful afternoon yesterday, at the Belgian Ambassador’s residence. An afternoon full of Belgian chocolate with a short introduction on L'appétit fou, the world of Belgian chocolate, a tasting of quite peculiar chocolates and a workshop that led to uniquely decorated chocolates pumps. Over the last few months there has been an important focus on B2B and wholesale partners here at the L'appétit fou office and we have created some exciting new ventures with hotels, retailers and other brands. The picture is from a recent collaboration with Aspinal of London. We hope everyone enjoyed their caramel chocolate heart this Valentine! What are you getting your valentine? It's that time of the year again where you get to shower your loved ones with chocolate delights and everything hearts. We have just the treats you are looking for! We have put extra thought into our Christmas range this year which makes for even an even wider selection of festive treats. 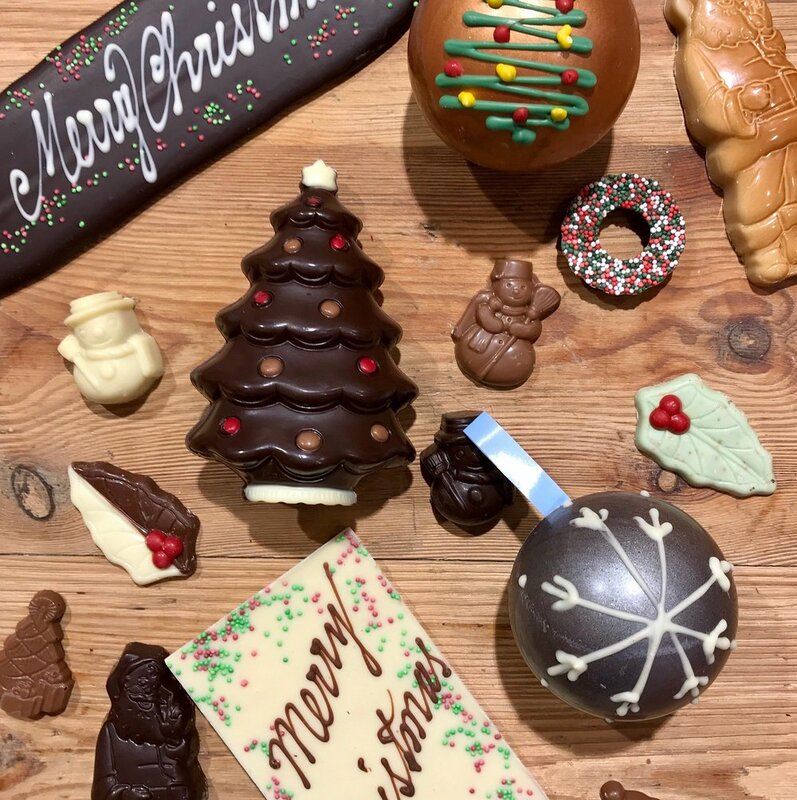 Whether you are looking for stocking fillers, treats for your little ones or presents to bring to a Christmas party, you will be sure to find something appropriate handmade of Belgian chocolate! It is finally here, the L'appétit fou advent calendar! An exciting new addition to our holiday collection with 24 handmade chocolates. This delicious daily treat will put you in a festive mood whilst counting down to Christmas. Come and assemble yours at the shop! We have handful of new flavours for you to explore just in time for Autumn. A few of the chocolates that are making their exciting debut are our Raspberry Cone, Mocha, Cuberdon and Forest Dew. Come and explore them at the shop! Come and discover our extensive range of handmade Belgian chocolates at the Specialty and Fine Foods Fair! Contact our sales manager, Sabine Ballière, at sabine@lappetitfou.co.uk to schedule an appointment. We hope everyone had a lovely time over the Bank holiday weekend. That you're all recovering from the dynamic Easter hunts you participated in but mostly from the delicious chocolates that were eaten afterwards! happy birthday to l'appétit fou! 3 years have gone by since we started setting up shop on Turnham Green Terrace. 3 years of chocolate adventures, supplying chiswick with the highest quality of these handmade treasures. We want to thank this leafy borough for your loyalty. We look forward to adding many more years! We're ready for Valentine, are you? Another unique delivery from Belgium has arrived at our shop... just because handmade chocolates are always a perfect gift for that special someone. We will be organising new pairing workshops on Wednesday 1st February and Wednesday 15th March. We will introduce you to plenty of surprising beer and chocolate combinations that you never even imagined possible. Think of marrying a full high-fermentation beer with a fruity white chocolate praline. Or combine a spiced but fruity beer with a delicious dark chocolate truffle, the possibilities are countless... We will select 6 of the best Belgian beers and pair each one with an assortment of two chocolates from our famous chocolate counter. The tasting will take place at the L'appétit fou shop (4 Turnham Green Terrace, W41QP) from 18.30 to 20.00. We can accomodate 6 persons per workshop and the price is £30 pp. Send us an email at info@lappetitfou.co.uk to make a reservation. Joan Dolier, image and style consultant with House of Colour, will join us at L'appétit fou on Wednesday the 11th of January from 16:00 to 18:00. She will be giving out advise about what colours best suit your complexion, what styles work best for you and how to feel wonderful no matter what the occasion! It will be a unique opportunity to shop the Chris Janssens collection at a -60% discount, savour some handmade Belgian chocolates and enjoy a lovely afternoon at L'appétit fou! We are offering a 50% discount across our entire Christmas range of handmade chocolates. A 60% discount applies to all fashion items from the Chris Janssens Autumn/Winter collection. 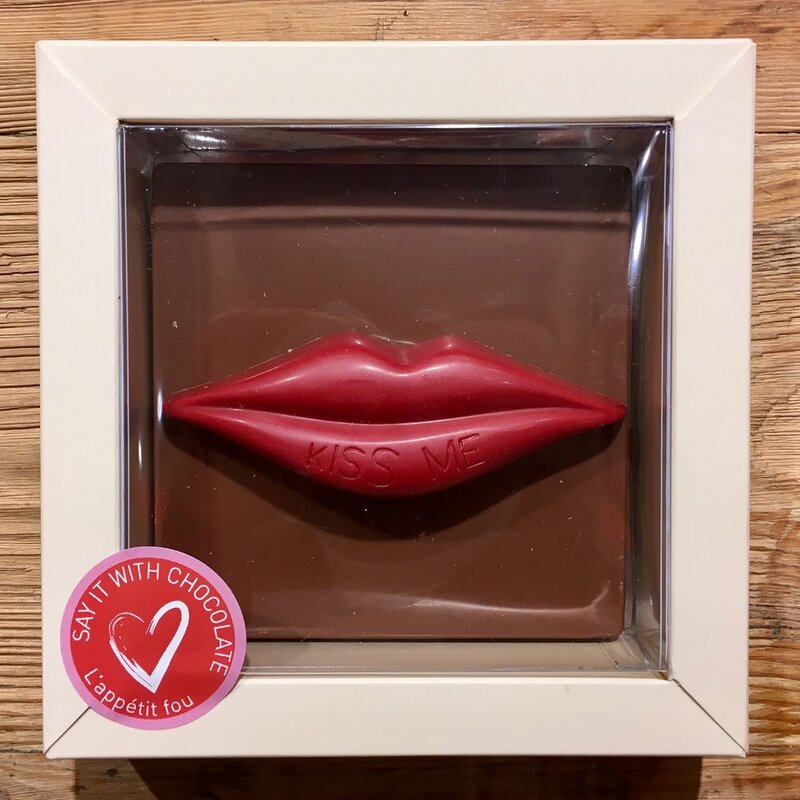 With Christmas fast approaching our store has transformed itself into a one-stop shop for your little guilty pleasures and the perfect destination to find unique gifts for all the chocolate lovers out there. If you haven't figured out all your Christmas gifts yet, here are some ideas; a luxurious gift box filled with handmade Belgian pralines, little Christmas figurines that are perfect as stocking fillers, a milk chocolate Christmas tree filled with praliné... If you're looking for something truly unique then why not gift a voucher for our Belgian beer and chocolate pairing workshop? The options are endless so just stop by the L'appétit fou store to experience our full holiday offer. Don't miss out on our first Belgian beer and chocolate pairing workshop! We look forward to introduce you to plenty of surprising beer and chocolate combinations that you never even imagined possible. Think of marrying a full high-fermentation beer with a fruity white chocolate praline. Or combine a spiced but fruity beer with a delicious dark chocolate truffle, the possibilities are countless... We will select 6 of the best Belgian beers and pair each one with an assortment of two chocolates from our famous counter. The tasting will take place at the L'appétit fou shop (4 Turnham Green Terrace, W41QP) on Wednesday the 16th of November from 18.30 to 20.00. Limited space available so send us an email at info@lappetitfou.co.uk to reserve a spot. A cozy gathering between friends in our Choc & Chic corner. Bring your friends, indulge in some quality time, browse through Belgium's most exquisite clothes and savour our chocolates and a glass of bubbles. There will be womenswear by Chris Janssens, who’s collections are known for their comfortable and elegant fit, filled with feminine dresses, intriguing prints and refined jackets. (PS: her new winter collection just arrived at L'appétit fou's Choc&Chic corner) Accessories range from scarves and belts to jewellery, one of the labels being Ciao Tutti who are renowned for their handmade scarves. We will also offer a selection of Wild & Soft stuffed animal heads, the ultimate design item to cheer up your child’s room. The collections will be available up to a 70% discount and sizes range from EU36 to EU46 (UK8 to UK18). 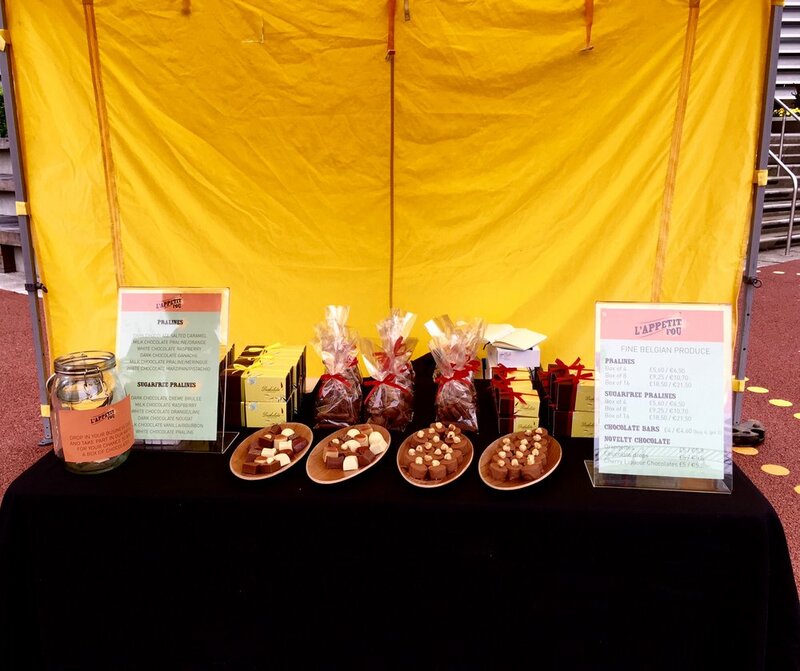 We had a great time participating at the Friday Bake-Off event at Chiswick Park, an initiative by Enjoy Work. As you may have noticed at the shop we have introduced a sugar free range of pralines and chocolate bars, the finest Belgian chocolate sweetened with a natural substitute. We organised a chocolate tasting where we compared our sugar free and regular pralines. We were overwhelmed with great reactions, you simply can't taste the difference. Our sugar free chocolates carry no calories from sugar so you can now enjoy Belgium's finest chocolates without any of the guilt. Chiswick park, it was a pleasure to meet you and we hope the chocolate tasting launched you straight into the weekend! 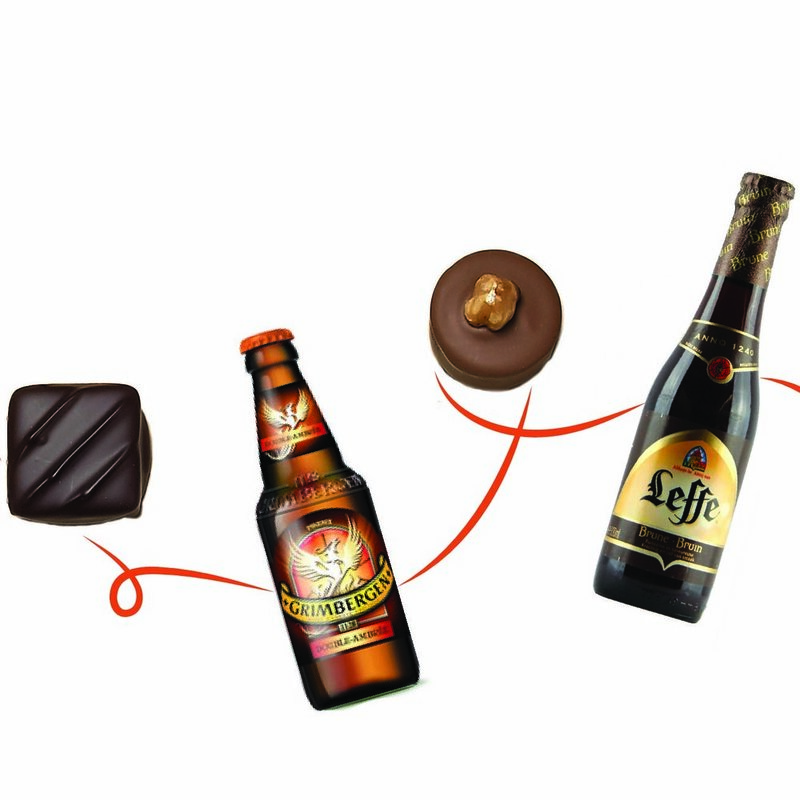 For this special day we have selected some of Belgium's finest beers to pair with your favourite chocolates. There are both blonde and brown beers, some fruity some bitter. Each beer will be complemented with a selection of chocolates; from dark chocolate with caramel and sea salt to milk chocolate with lemon ganache. 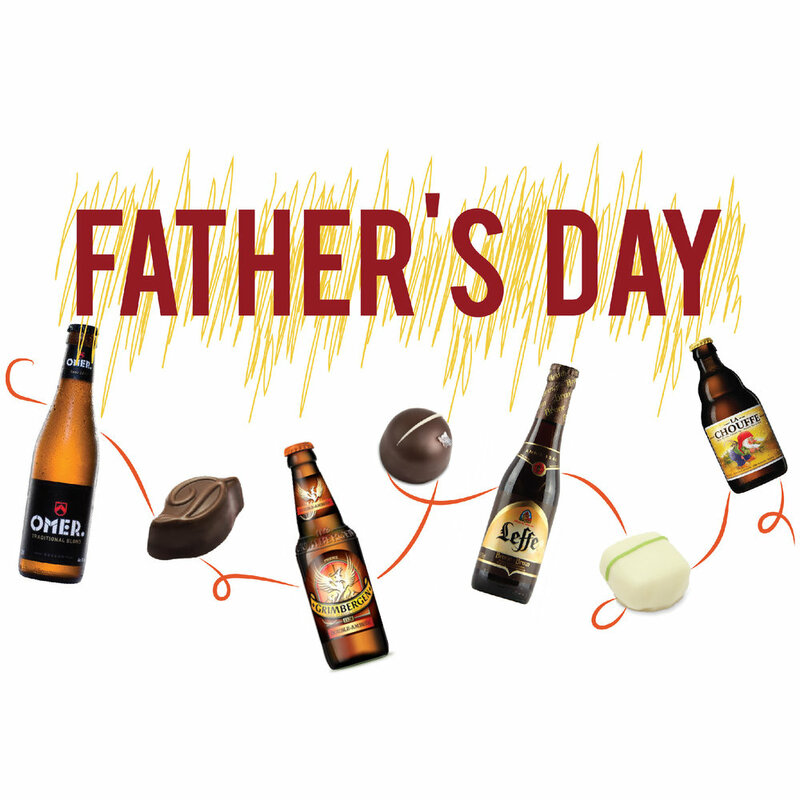 To make it even easier, we have prepared a choice of hampers for you, Happy Father's Day!